Andy Stewart, Howell Vice President, is the founding partner of True Impact Ministries, a faith-based 501(c)3 nonprofit that helps support remote villages in Uganda, Africa through mission trips and a child sponsorship program. Over the years, various True Impact Ministries teams have built kitchens, latrines, water wells and rainwater collection systems, schools, teachers’ housing, and student dormitories. 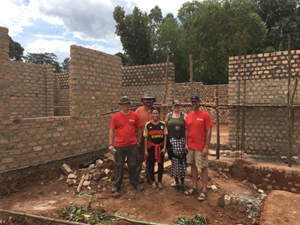 This past summer, five Howell employees traveled to Uganda to build a girls’ dormitory, host a small medical clinic, and spend time with children in various schools throughout Uganda. It’s exciting to see how we’re able to use our talents to help people all the way on the other side of the world! For over 50 years, Howell Construction has had a partnership with the Boys & Girls Clubs of Metro Denver. 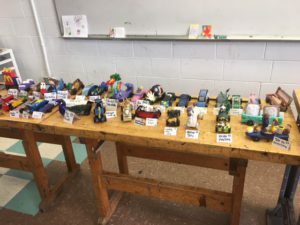 One of our favorite events this summer was the Pinewood Derby, where Club members gathered at the Johnson Boys and Girls Club to race the unique wooden cars they spent weeks constructing and personalizing. Howell volunteers spent the day acting as judges, helping with pre-race weigh-ins, and watching the Club members compete. Additionally, Howell was the presenting sponsor for the second year in a row at the BGCMD Annual Golf Tournament. This event brought together professionals from the Denver community to raise over $145,000! School is back in session, and so is Food For Thought. 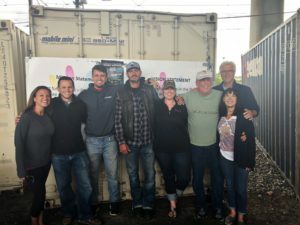 Many children in the Denver area don’t know where their next meal is going to come from when they leave school on Friday, so Food For Thought has made it their mission to eliminate weekend hunger. Howell teamed up with nearly 100 other volunteers on Friday, August 31st to pack PowerSacks with non-perishable food items to distribute to kids throughout 28 different Denver Public Schools. During the 2017/2018 school year, 8,000 kids were fed and over 100,000 PowerSacks were distributed! Howell wrapped up summer this past Saturday by volunteering with Habitat for Humanity to help build homes in the St. Vrain Valley area. 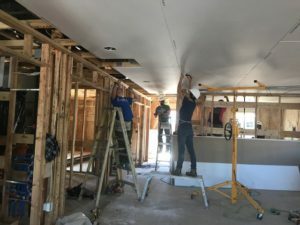 We put our construction expertise to good use by hanging drywall on the ceilings in several new homes. The best part about this volunteer opportunity was that we were joined by several Howell employees’ family members!